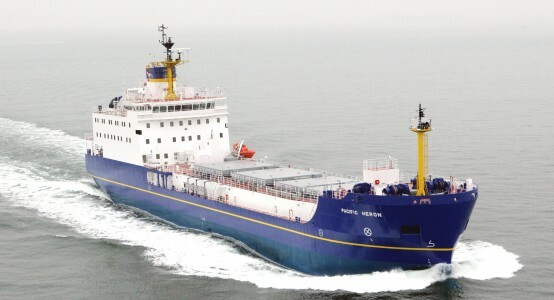 The Pacific Heron, delivered in 2008, is an INF 3 certified vessel under the INF Code of the International Maritime Organization (IMO). She is the first of a new generation of PNTL vessels and her design builds on the experience of operating purpose-built nuclear carriers since 1979. 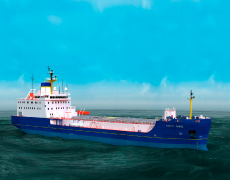 The Pacific Heron has security features that enable her to transport MOX fuel and plutonium dioxide. She is fitted with fixed naval guns and has other additional physical protection systems, only some of which are visible from the outside.